The first half of the year has been a blur and I'm only just emerging from major volunteer commitments at two more quilt shows here at home. I need to tell you all about The Splendid Sampler 2 sew-along!! I was so pleased when Pat and Jane asked me to participate in their second sampler book (of 100 six inch blocks) after suffering a mild case of FOMO when the first one came out. Although I'm not really a sampler person, I just love being part of fun things when lots of other quilters are involved! Meeting new quilt-folk is a favourite pastime of mine - it is always a life-enriching experience. Sometimes it's hard to grow your circle without pushing yourself a bit and designing a tiny 6" block is a bit pushy for me, actually. After the last few years of (mostly) improv work where I just start cutting and sewing and playing on the design wall, it is a surprising challenge to focus small and design something contained. I have to keep my little block a secret for a veeeeeeeery long time, but until then I will be trying my best to sew along with the many other designers involved in this book. There have already been many posts about it (like selecting fabric and announcing the 1-wee countdown to the 20-block freebie sew along here). Check the links because there are fabric and book discounts there! 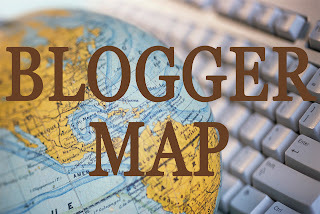 Follow along on the Splendid Sampler dedicated blog for all activities and announcements. It's time I did the same and got up to speed on everything that's happening! There are links in the header of the blog to galleries featuring stunning quilts made with the first book. You'll likely get lots of fabric inspiration there. I'm just in awe of people that can stick with such a big project and finish the quilt - that is definitely not my modus operandi. I'm going to attempt my blocks in single colour stories using shot cottons from my Oakshott Colourbox purchased during a sale several years ago and lovingly dipped into for rare and special projects. I don't have tons of this fabric, so I plan to be a bit selective. I know making ALL of the blocks will be too much for me to stick with and I'm admitting that right up front. Initially, I planned to skip all of the applique blocks because I never seem to finish applique things that I start (I tend to lose interest after all of the prep work). However, this past weekend at my traditional guild show, I had the pleasure of meeting Rosa, the incredible designer of the Apliquick system. I purchased some of her amazing applique tools and notions, so hopefully I'll get to bust them out and try some new to me techniques for hand applique on some of these blocks. 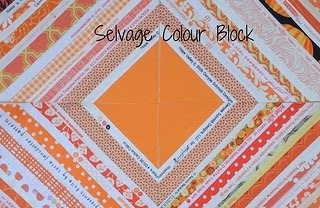 What about you...do you enjoy the challenge of making a little block every week? 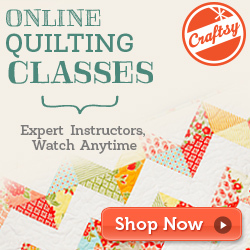 Do you love sampler quilts? Is it meeting new designers that gets you excited about a group activity like this? Let me know in the comments! I like some sampler quilts , especially if there is a common element in them. Limiting the colour palette goes some way to achieve that, I guess.When I made my chuck Nohara quilt, there was no way I was making 2000 blocks, let alone 200. There are way too many other quilts, in other patterns and other colour ways I want to make! Congratulations being involved in this project! I like sampler quilts too especially when they are small blocks. It’s fun seeing all the different interpretations and variety when lots of people are involved. Shall look forward to seeing your block! Good luck sewing along. I still have to finish my Tula pink sampler so I’m not going to add another sampler quilt to my wip pile just yet. 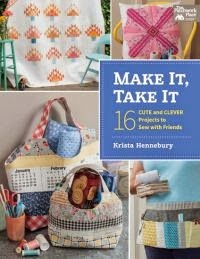 Congrat's on being part of another fun project, Krista! Did you buy Rosa's apliquick needles?? I met her at AQS Daytona this year and bought the mid sized scissors (she took the large pair back from me and told me I didn't want that size..lol), her needles and a spool of her thread. The scissors are the best but those needles.....Members of my Baltimore appliqué group of 25+ years have deemed them the ultimate needle and as expensive as they are, they are worth every pennie. I did order the tools from Kathy Wylie once home and she offered the John James Gold 'n Glide as a reasonable substitute. All my group tried them and declared them worthy. So, if you didn't spring for Rosa's needles, try the John James - they run around 5.99/6.99 a pack.